With the Mediterranean surf hurling itself against vertical cliffs towering thousands of feet upwards into an achingly blue sky, it was hard to judge from which direction the next wave would come. Driven by a brisk south-easterly wind, the surface of the sea was being whipped into white horses as wave crests hurried towards the shoreline. Meeting unrelenting rock, they were repelled with equal force, opposing forces creating peaks and troughs metres high. Three kayaks bobbed between them, propelled upwards one moment and then dipping, the prow of a tiny craft sometimes spearing into the next wave, shrugging off torrents of blue water before gathering gamely for the next assault. Blow holes gouged into the cliffs over hundreds of years boomed challenges at interlopers in this marine wilderness, venting spray high into the air. A grey heron watched dispassionately from its rocky perch fifty feet above, launching into distinctive lazy flight as the kayaks passed beneath. Exhilarating, awe-inspiring, and physically demanding, this was nothing like the experience I expected when I signed up for a three-day 50km paddle from Oludeniz to Patara. Of course, I knew the sea could be lumpy. Yes, I was aware the only thing propelling me and about 20kg of kit the prescribed distance would be the muscles in my arms, shoulders, back and legs. I was even expecting a basic diet and the occasional attention of wildlife with a propensity to bite or sting. Nevertheless I was unprepared for the sheer power of the sea and the demands which hours of paddling place on a body more used to sitting behind a keyboard. If you can imagine going down to the gym, strapping yourself to a rowing machine and using it for hours in 30C heat while someone else tries to push you off, you might be there or thereabouts. 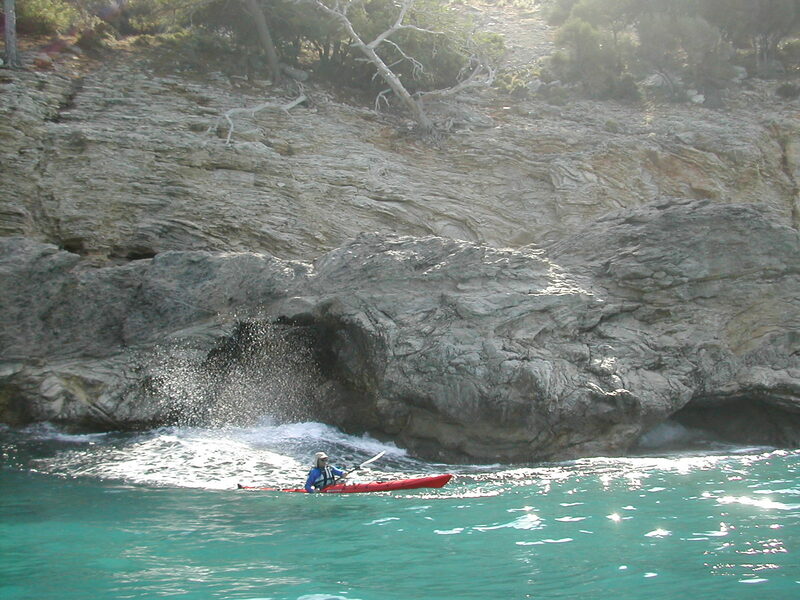 But, on the other hand, protesting muscles can be easily forgotten when breath-taking scenery almost untouched by human endeavour unravels around each headland – forests of green pine tumbling down crevices to touch the sea while cliffs, tortured and riven with the scars of long-forgotten earthquakes, rear thousands of feet into the sky. When shimmering flying fish dart from wave to wave, a turtle drifts beneath your hull, or a kingfisher flits along the shoreline, a flash of iridescent blue against the sandy-coloured rocks, suddenly the effort involved in paddling becomes a secondary concern. Indeed, after a while, I found it becomes almost mechanical, a steady rhythm rather than brute force enough to keep the kayak moving forward – at least until a the maw between two rocks looms, spitting spray and foam, daring you to shoot the gap and ignore the risk of snagging against teeth honed razor sharp by erosion. I’ll admit I bottled the first few on day one but, once I had more confidence and strength, I followed our expedition leader through, even allowing myself a small “whoop” of achievement after emerging unscathed on the other side. And, once hips have developed that instinctive balance, you also find it’s easier to flirt with the blow holes, using their spray as an impromptu and refreshing shower, or to explore dark caves out of the sun where it’s easy to pretend no human has ventured for generations. I thought I’d miss luxuries we take for granted; a chair and a table to eat from, a comfortable bed, beer … But, instead, I discovered once again that other things take their place. A rocky perch where I could dangle my legs over breaking surf was perhaps the most satisfying place for a simple cup of tea brewed on a Primus stove while curried potatoes eaten while watching moonlight play on the surface of the sea has to be among the most enjoyable meals I’ve ever had. Physical exercise meant sleep wasn’t difficult either while, for me, the splendour of our environment provided a deep sense of peace and contentment. It’s true that good advice would be to avoid the height of summer if possible; both the heat and the indigenous insect life can be more aggressive in late July and in August. 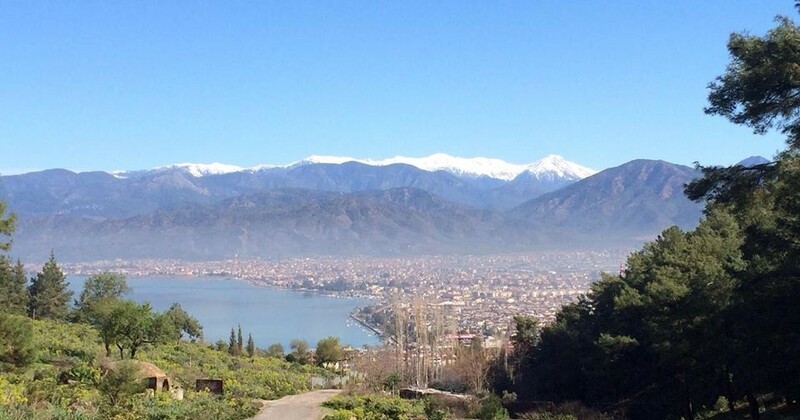 But I would challenge anyone not to find the scale and majesty of Turkey’s Mediterranean coast an antidote for modern living. Even after a day or two, the sea and the cliffs exude such a sense of longevity that it’s hard not to see our daily struggles as something petty or transient, perhaps helping to reset perspectives or to better understand the things which really ought to be important to us. 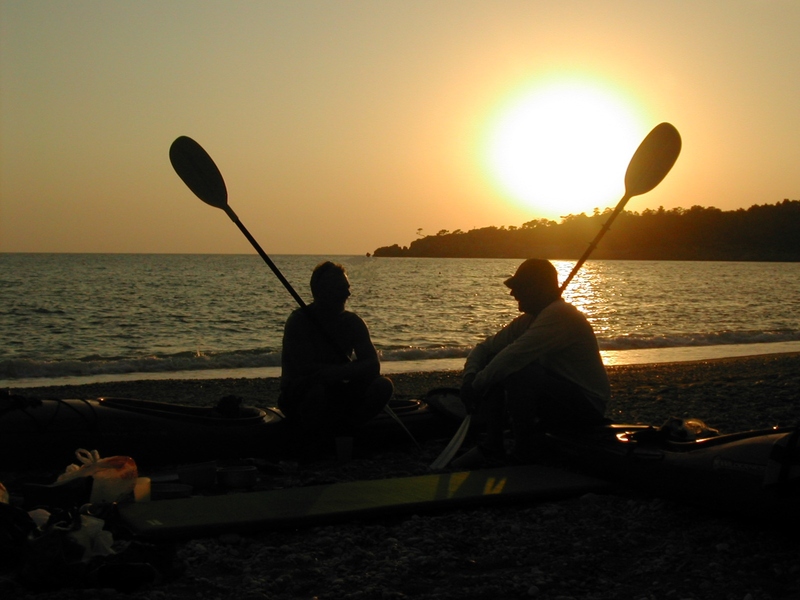 This entry was posted in General, Life challenges and tagged Ölüdeniz, Canoe trips in the Mediterranean, Kayaking in the Aegean, Kayaking in the Mediterranean, Patara, Seven Capes, south-west Turkey, Turkish coastline on August 11, 2014 by theparsleys.